It’s been a long time coming, and it’s clear that fans of the series have been twitching their thumbs in anticipation ever since Kingdom Hearts III was announced back in 2013. It’s likely Kingdom Hearts III will also sound just as good, featuring great voice acting as well. As a matter of fact, the game’s voice cast was recently announced by publisher Square Enix and Disney, and it sure is a star-studded one. Perhaps the most noteworthy name amongst the cast is Kristen Bell, the US actress who has appeared in movies like The Boss and also TV series such as Veronica Mars. Bell also has a history with video games, though, and lent her likeness and voice to Ubisoft’s hit Assassin’s Creed in 2007 and to its sequel Assassin’s Creed II, while she has also done voice work for Disney’s Infinity games too. In Kingdom Hearts III, she will be reprising her Princes Anna role from the Frozen movie (as you might expect, one of the game’s worlds is based on the Frozen movie). There’s also Wallace Shawn, whom you might have heard playing Rex in Pixar’s 1996 iconic animated movie Toy Story, and also had a leading role in the 1987 movie classic The Princess Bride. 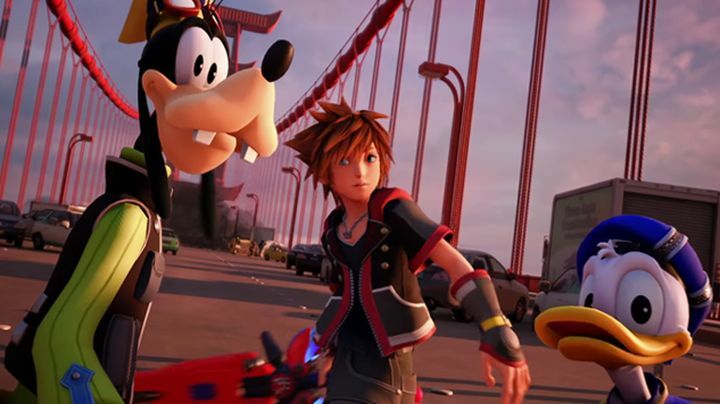 Other actors involved include Tate Donovan, who will reprise his Hercules role from Disney’s 1997 animated hit, while Haley Joel Osment (you know, the guy who almost nabbed an Academy Award for his role in The Sixth Sense), will once again play the game’s protagonist Sora. Additionally, Josh Gad, Idina Menzel and Jonathan Groff will reprise their Frozen roles, and Zachari Levi and Donna Murphy will play their characters from Tangled. Of course, Donald Duck and Goofy will once again be voiced by Tony Anselmo and Bill Farmer respectively. This is certainly an impressive voice cast, so it would be a great thing if this latest Kingdom Hearts game really lived up to the hype, giving both fans of the series and newcomers everything they are hoping for when it’s released early next year. Note: Kingdom Hearts III will be released on January 29, 2019. Available on PS4 and Xbox One.